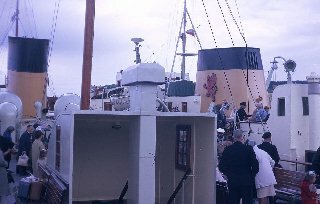 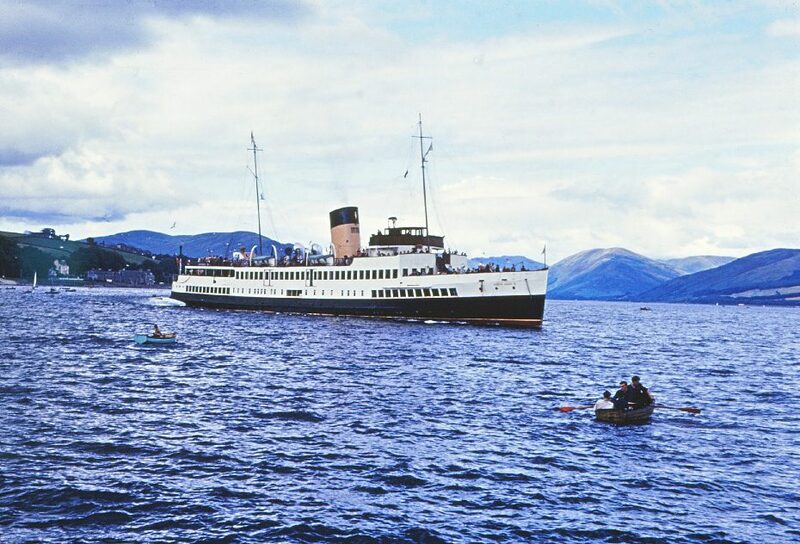 Above : Queen Mary at Gourock on the day of the Cowal Highland Games at Dunoon ; 31st August, 1968. 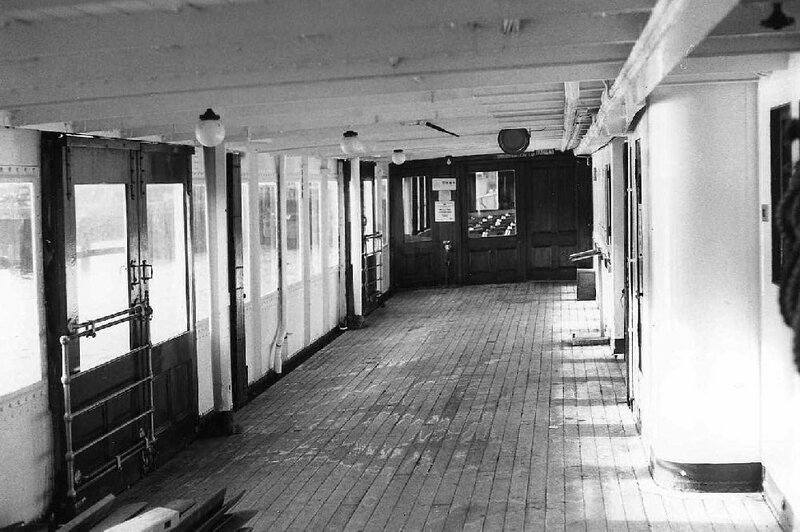 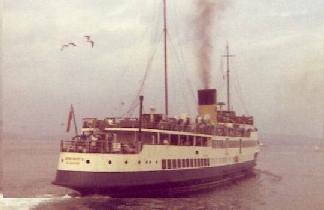 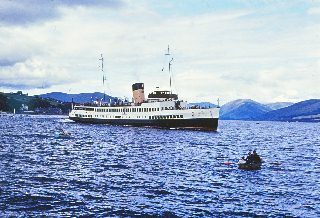 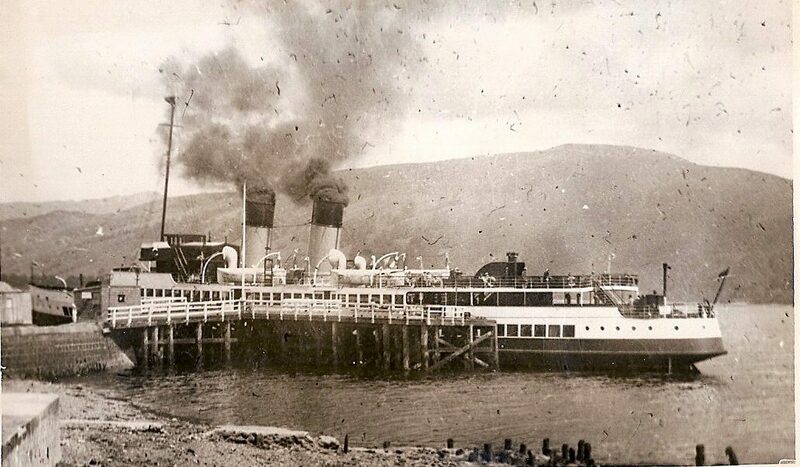 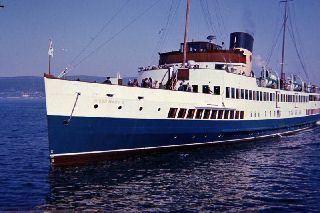 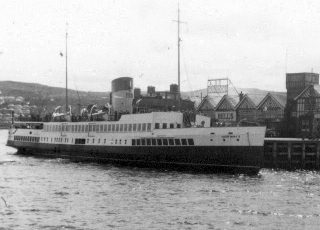 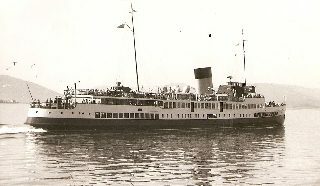 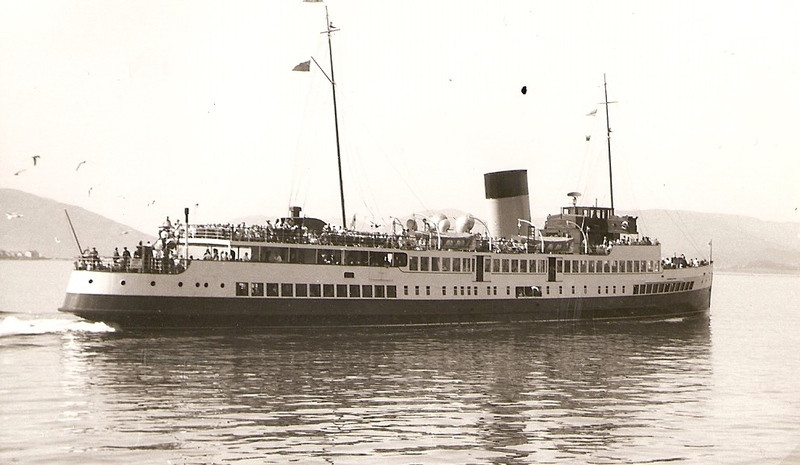 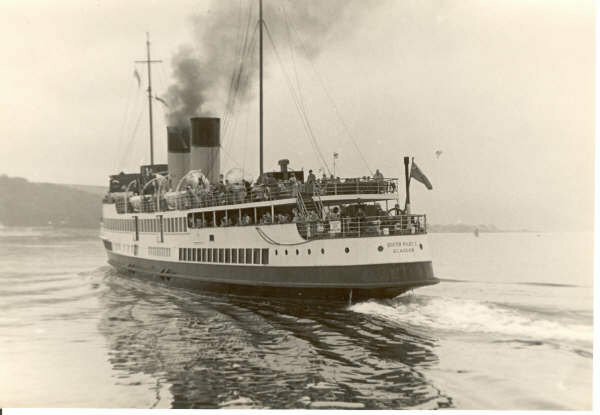 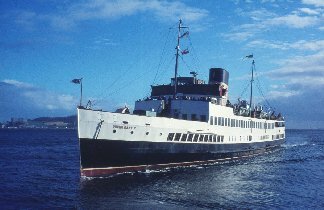 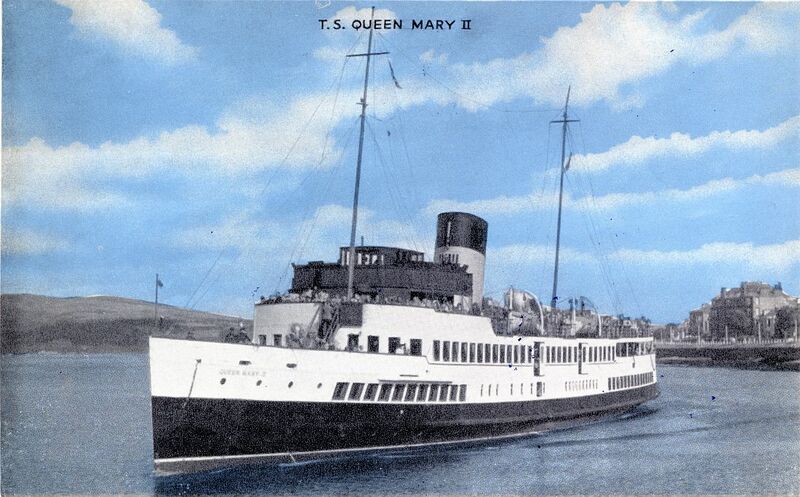 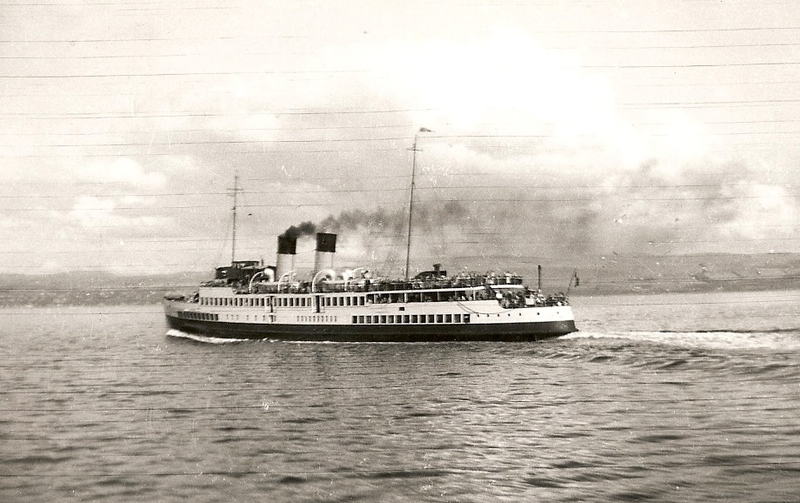 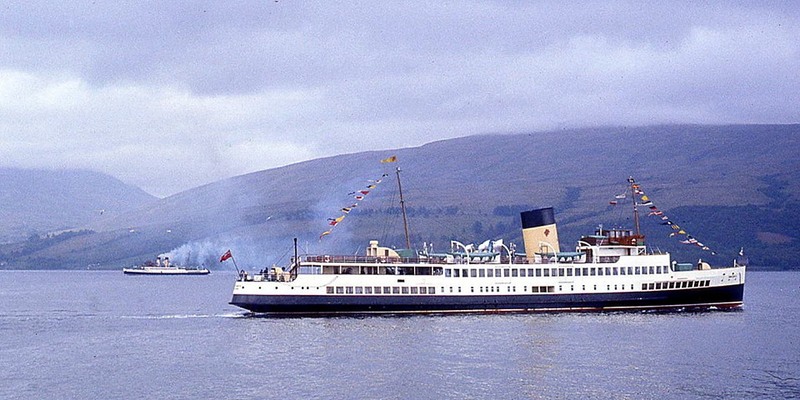 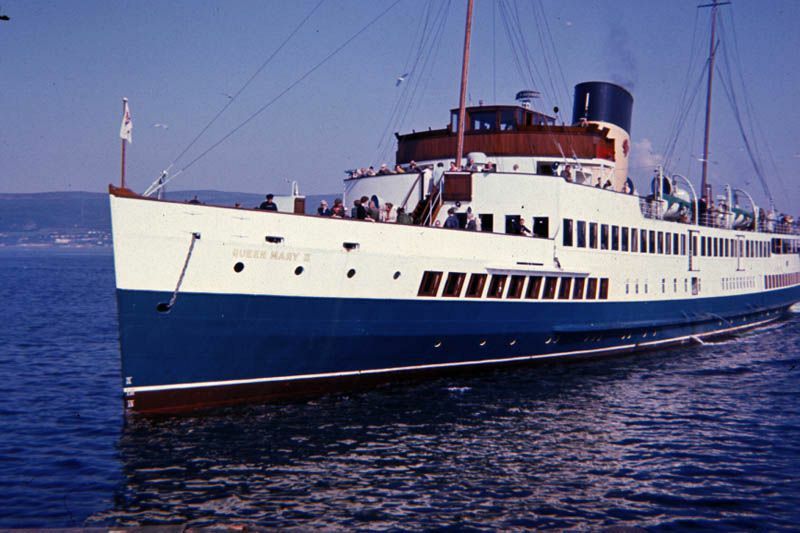 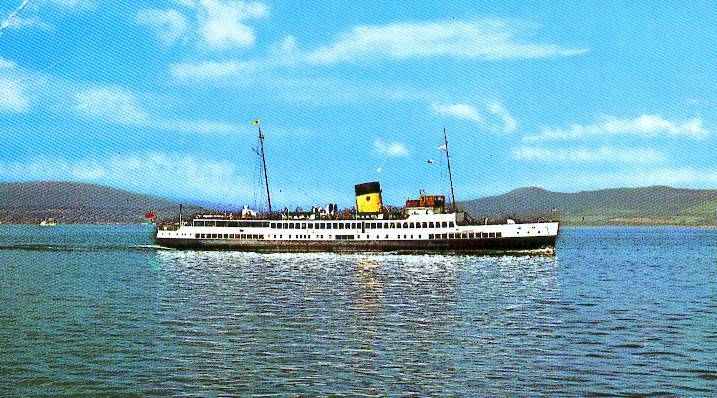 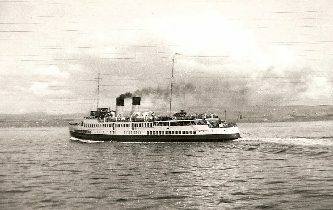 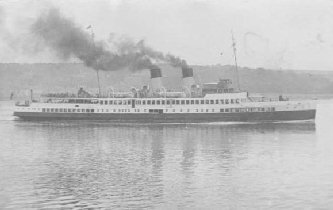 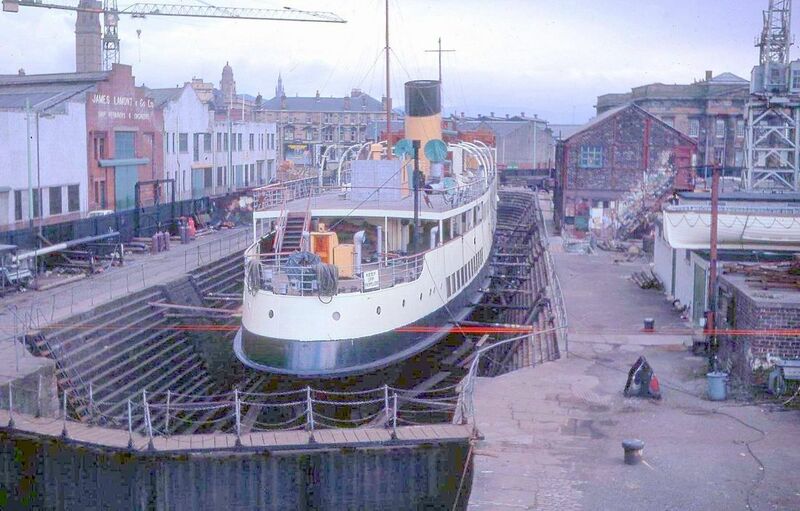 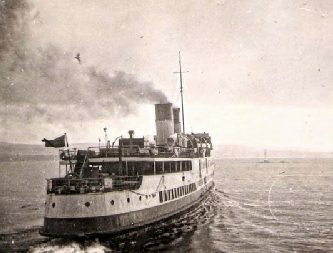 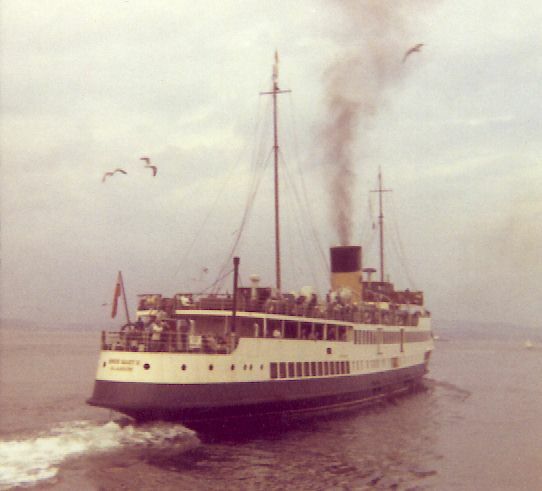 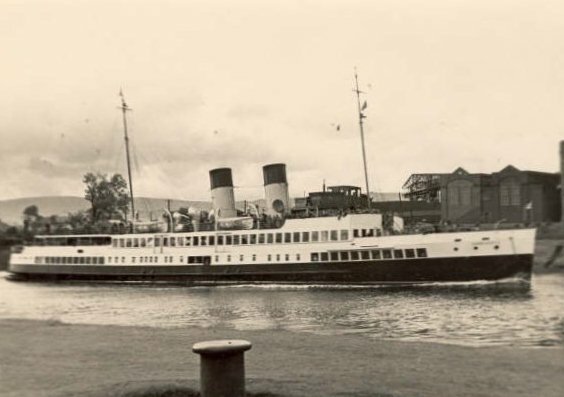 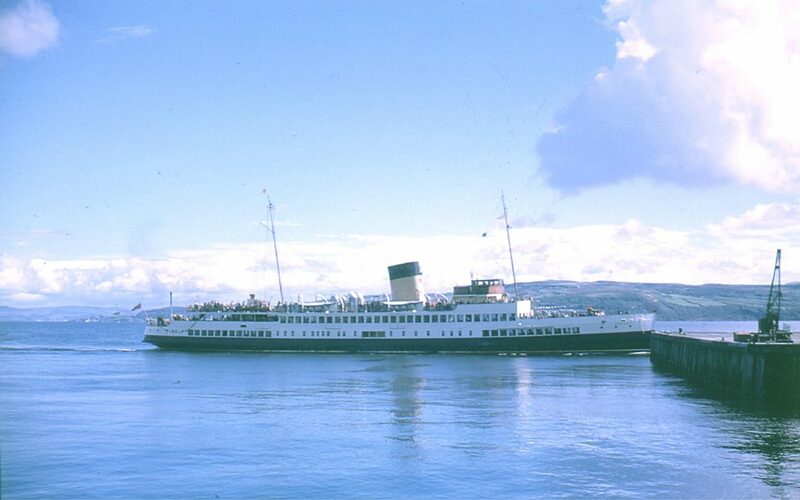 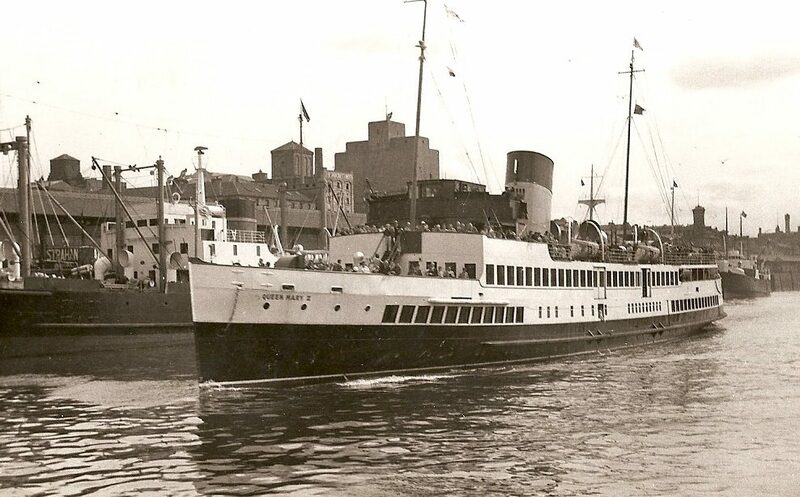 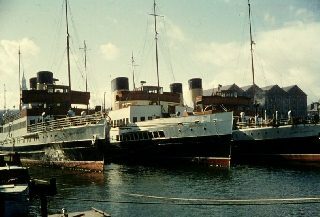 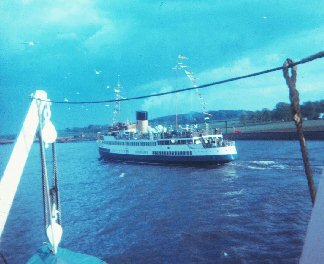 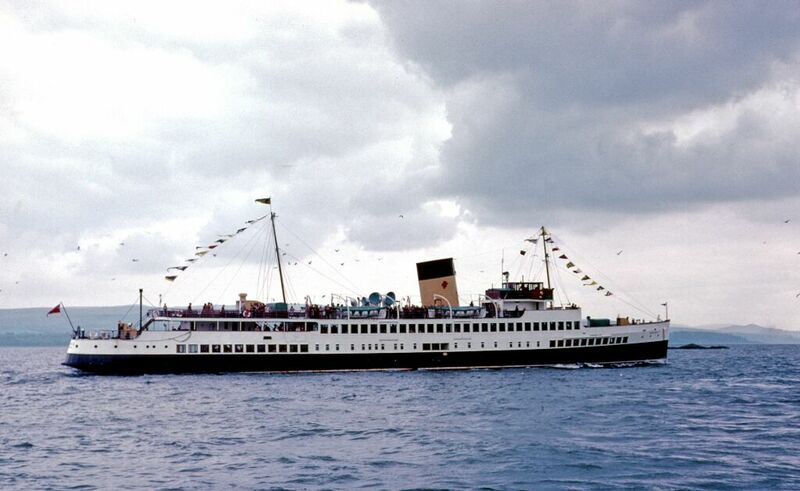 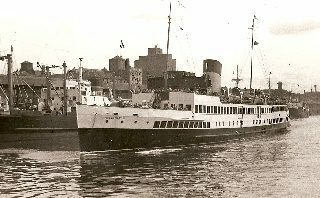 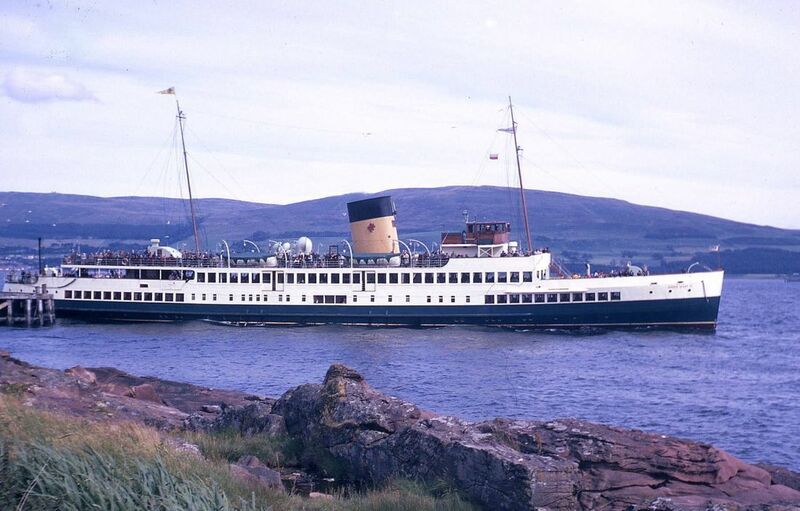 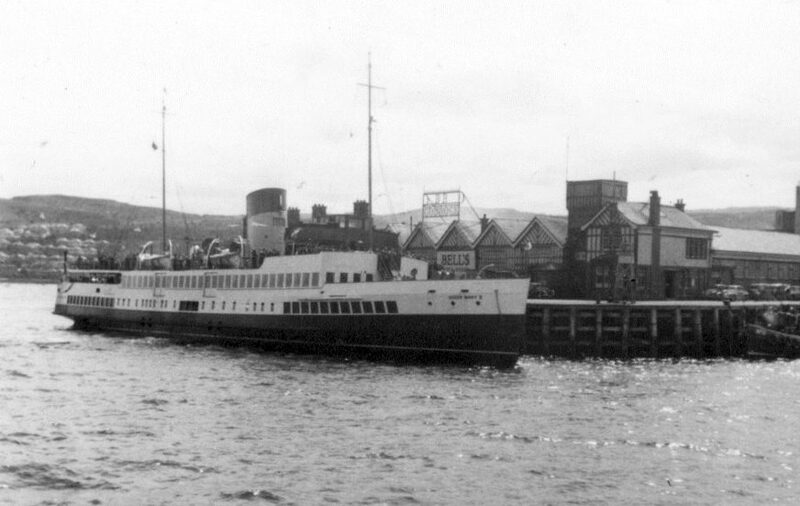 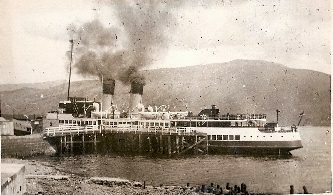 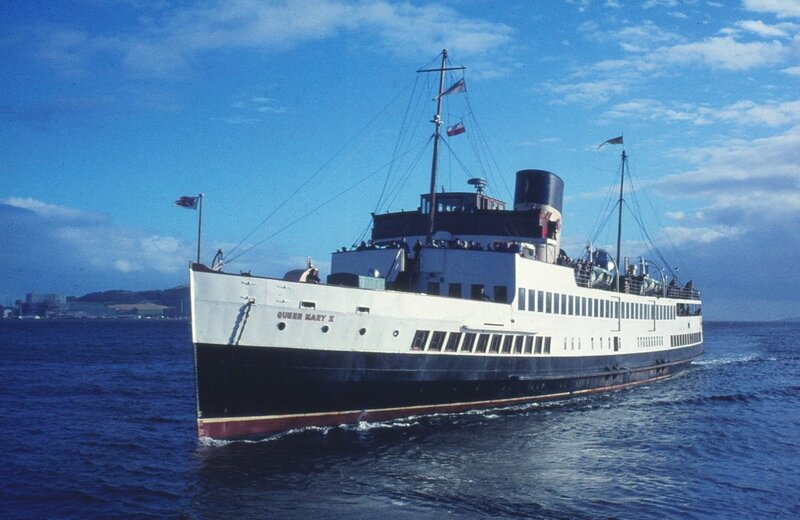 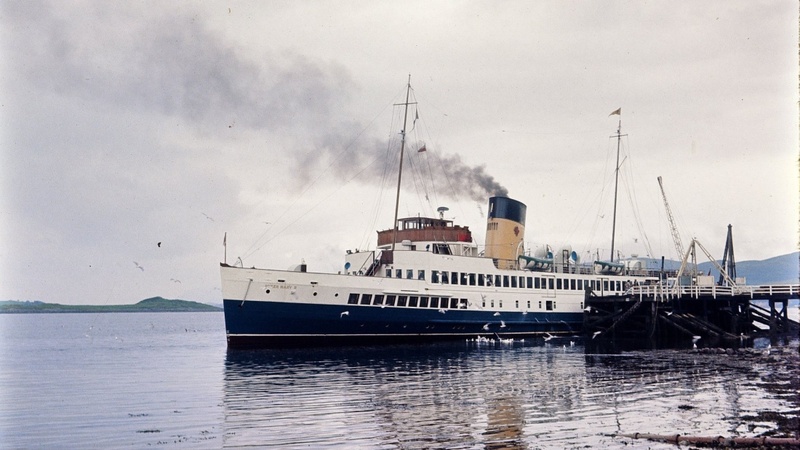 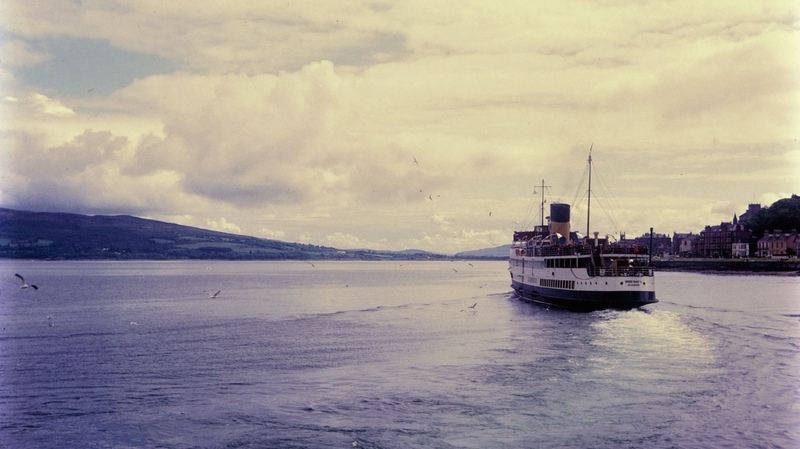 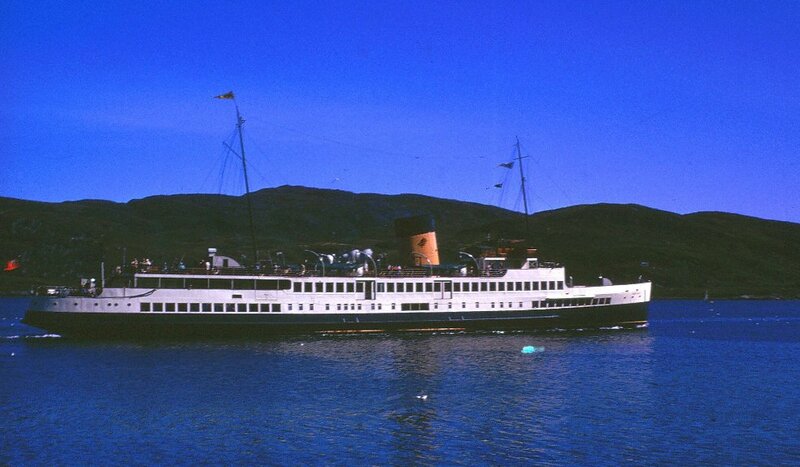 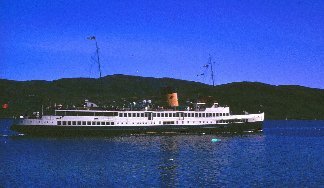 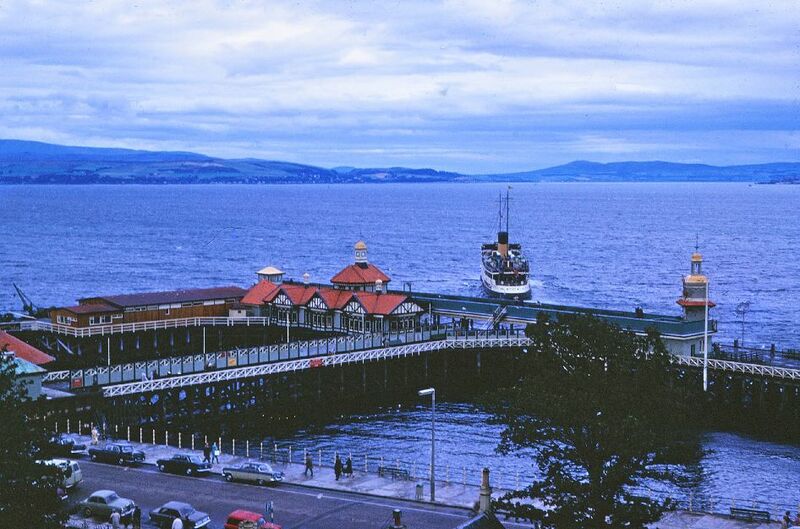 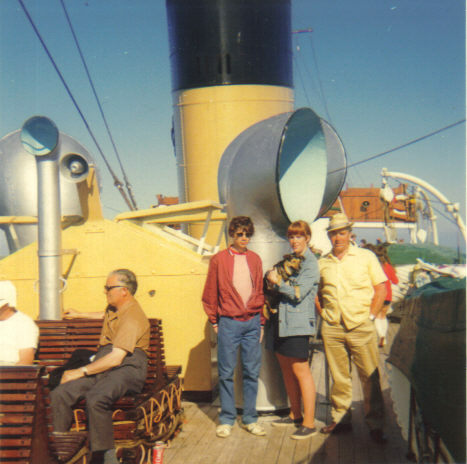 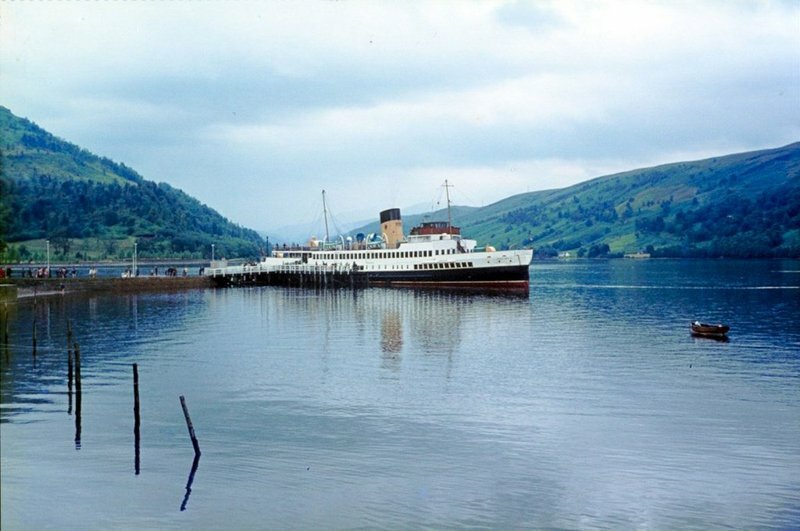 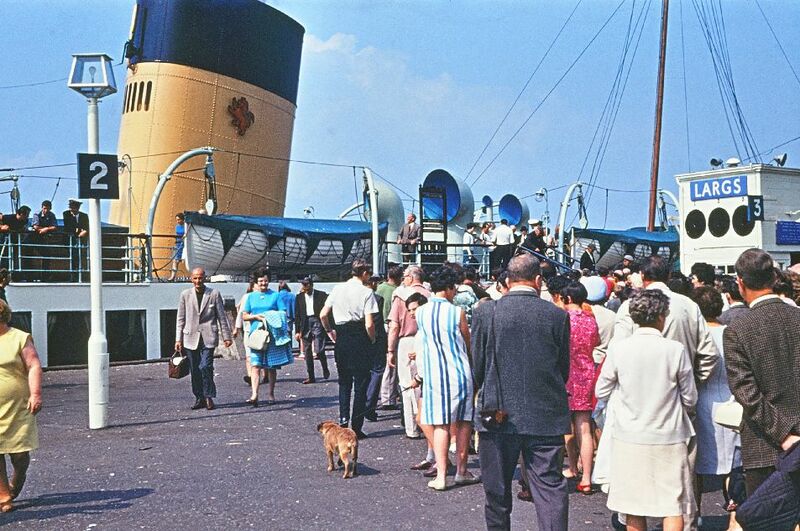 Above : By 1972, Queen Mary was the last remaining turbine steamer on the Clyde and although services were reduced further, she took on the destinations normally associated with TS Duchess of Hamilton. 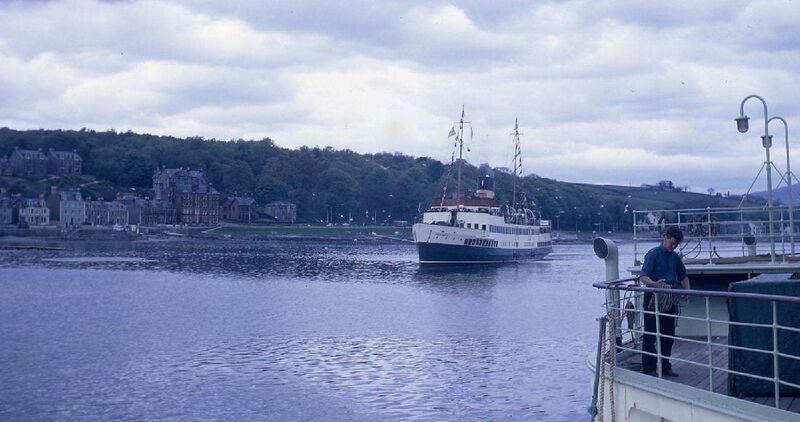 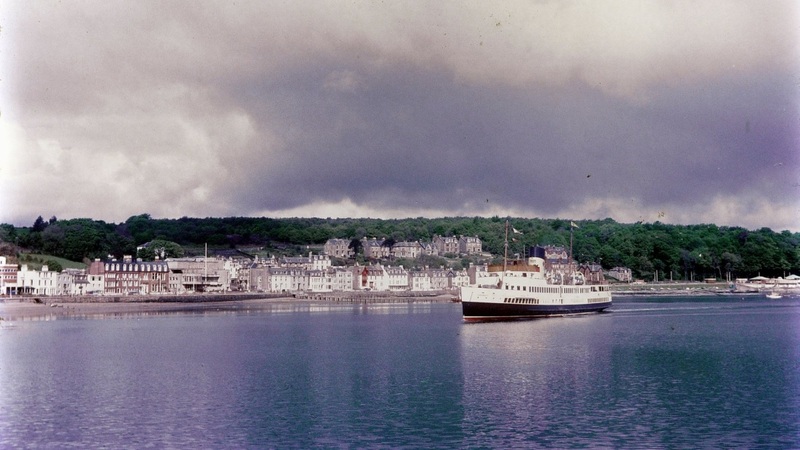 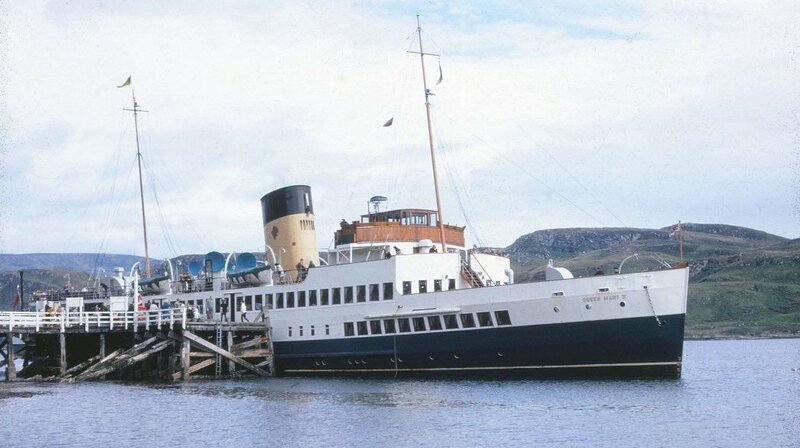 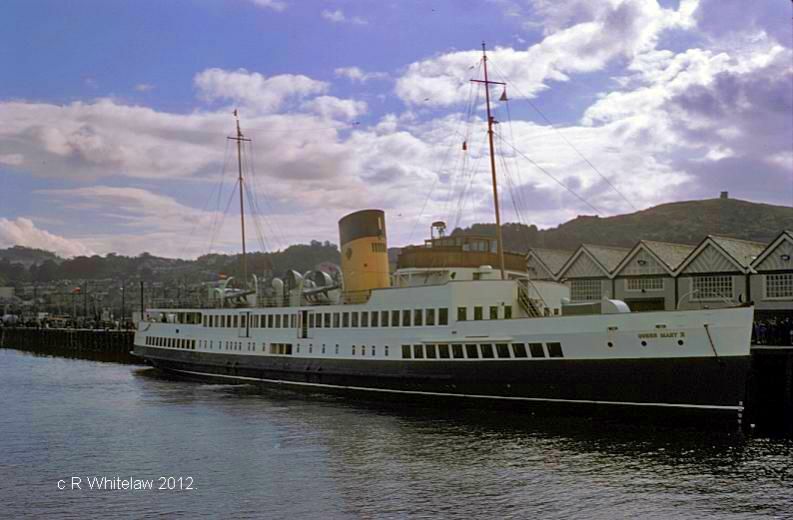 Here she is seen at Inveraray on August 3rd 1972 in a photo shown by kind courtesy of Frank Gradwell. 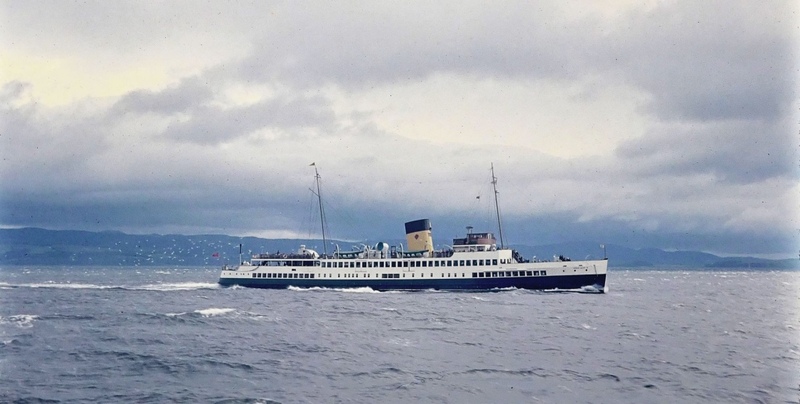 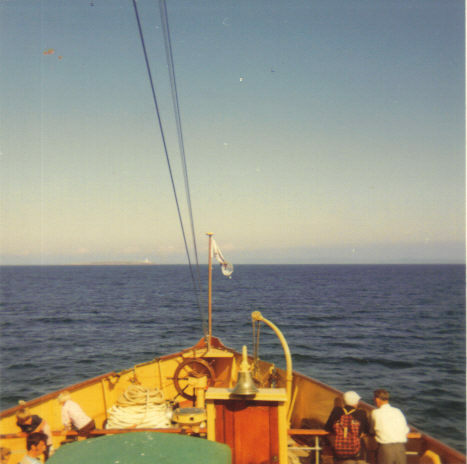 She sailed for much of the season with a disfiguered bow and missing bow rudder following a collision off Gourock with a US Naval tug Natic in thick fog.